Junior Megan Yee glides to the basket during the Tigers' Senior Night win. 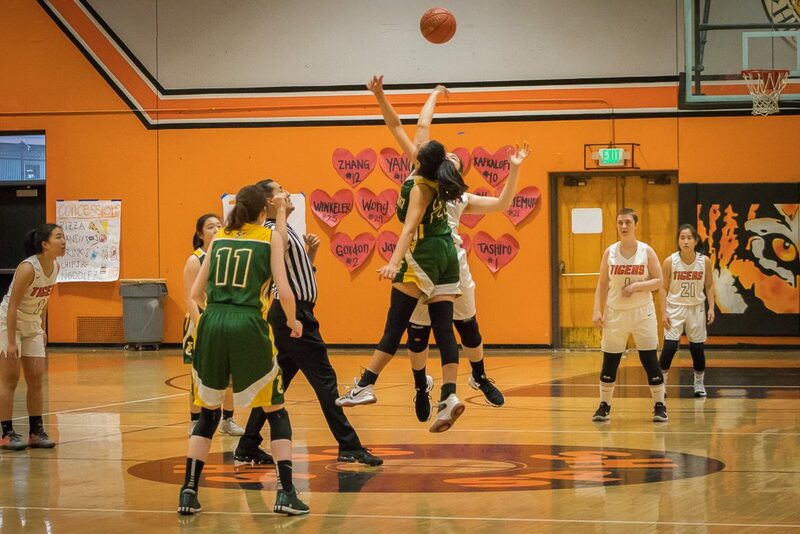 Girls’ basketball ended their league season on a high note with a 44-36 win against the Temple City Rams on Thursday, January 31. The win propelled the team to a 6-2 league record, placing them second overall in the Rio Hondo League. The Tigers got off to a quick start, with baskets from senior Kayla Zhang and junior Sydney Sakamoto in the first minute of the game. Overall, however, the opening minutes felt unusually laid back for the Tiger’s characteristically aggressive offense. After several unfulfilled shot attempts for both teams, senior Lauren Kafkaloff and junior Megan Yee were able to iron out several points for the Tigers, closing out the quarter with a lead of 16-8. The opening tip signaled the start of the seniors’ last league game in their high school careers. Temple City attempted to surpass the Tigers’ lead in the second quarter, pushing the Tiger defense and their momentum with fast breaks and three-pointers until the score was nearly leveled. However, the Rams were unable to keep up with the quicker tempo of the game and fell by the wayside as the Tigers regained their footing and repeatedly boxed out the Rams’ rebounding attempts, ending the quarter at 29-18. With their superior ball movement and shooting accuracy, the Tigers were ultimately able to maintain their positive scoring trajectory and wear out the Rams. 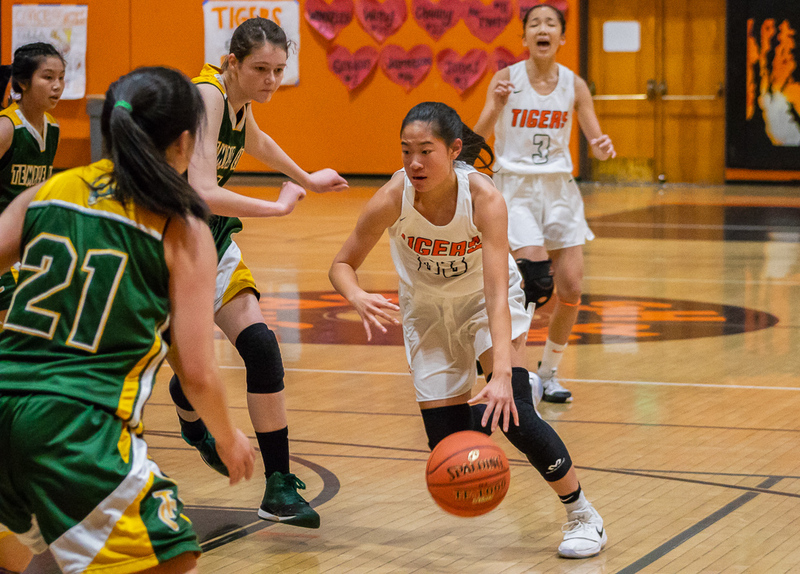 Additional two-pointers and free throws from seniors Elaine Yang, Flannery Clark, junior Charlize Kruzic, and freshman Allyson Tse sealed the deal for South Pas and the Tigers finished their final league match with a final score of 44-36. After the game, the team’s underclassmen presented each senior athlete with a crate filled with team memorabilia and presents as well a heartfelt poem to express their gratitude for the seniors’ constant leadership and companionship. With their second place league finish, the team now awaits the release of the CIF bracket to find out their next opponent.